Every day brings an opportunity to learn something new. We experiment with new ingredients, techniques, and ideas, constantly seeking to learn more. When that sudden spark of inspiration ignites the fuel provided by this quest, you have Epiphany. 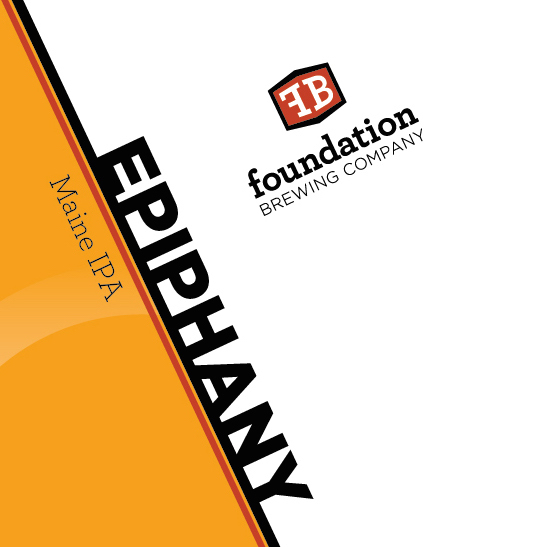 We are proud to introduce Epiphany as our vision of what an IPA can be. We have been patiently working and experimenting, waiting for all of the pieces to come together. Our labors of experimentation and planning culminate in Epiphany. Juicy and fruity with undercurrents of pine, we indulged in our desire to create an IPA that personifies the vivid flavors that can be coaxed from the hop cone, painted on a canvas of soft malt that allows the flavors to shine through. Extensively hopped in the kettle and in the fermentor, we spared nothing in making this beer, our Maine IPA. We hope you enjoy this beer, and that it brings you a hoppy revelation as well. Epiphany will be available in the tasting room next week, with draft availability to follow.